The Sisters of St. Joseph of Mombasa are a religious and apostolic order of Diocesan rite. As a Congregation of consecrated women, we live and work among ordinary people, guided by the spirit of SIMPLICITY, SERVICE and PRAYER. Our spirituality is rooted in the Benedictine way of life. Prayer and Work (Ora et Labora) is what characterizes the life of a Sister of St Joseph. Union with Christ through our prayer and daily contemplation of the Gospel message gives us the disposition of simplicity that governs all our service. It is through our prayer and work that we unite with, praise and glorify our Almighty God. St Joseph is our model and inspiration. In his work, he humbly listened to the voice of God and followed God's will. Following his example we serve our society in our needy brothers and sisters. We live in communities characterized by love and service for one another as we live out the new commandment of love (John 13:34-35). In each other we see the face of Jesus and we daily meet at the table of the Lord to share the Eucharist and the word of God. In so doing we renew our commitment to God, to one another and to humanity. The Sisters are now to be found in a number of dioceses in Kenya and Tanzania. Kenya: - Dioceses of Mombasa, Malindi, Machakos, Murang'a, Kitui, Kitale, Nakuru and Nairobi. Tanzania: Dioceses of Arusha, Moshi and Dar es Salaam. A new mission has now been opened in Malawi. We are called to the service of the Church and all God's people without exception. "Tend my sheep". Our Charism leads us to make known the many faces of Jesus: The Teacher, the Healer, the Prophet, the Merciful Lord, the Missionary, the Preacher. We work where God's people mostly need us, upraising them in their spiritual and social quest. Thus the sick, children, women, youth, orphans, HIV/AIDS infected and affected, the down trodden and marginalized all find a special place in our apostolic works. Whether attending to the sick in the hospital, teaching in a classroom, harvesting in our farms, counseling a street child, or involved in administrative work, we do this for love of God and our neighbour in a world so much in need of an active witness of the love of God. 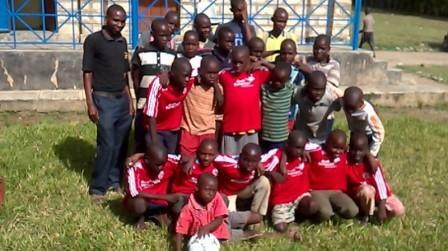 Many are the friends that continue to support Grandsons of Abraham Rescue and Rehabilitation Centre, as well as Abraham's Education Centre that is an extension of service for the rescued children to ensure they get access to quality education. Because of your support, our project has earned a permanent spot on Global Giving and we are able to keep the children in school as well as assure their security, health and nutritious meals. We would not have gone so far had it not been for your support. This project affects the lives of over 100 children. 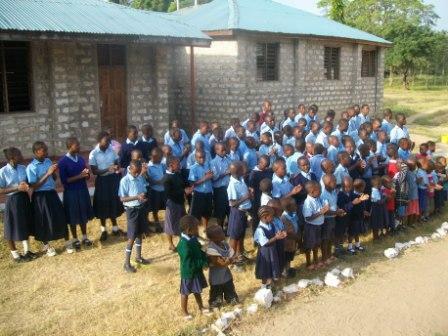 The project is feeding, protecting and providing education to the children. As they attend school, the children need school uniforms, books, and stationery. Your donation is facilitating the provision of all this. The children say "THANK YOU". Please visit our project page and DONATE NOW.